I moved to Portland, Oregon 15 years ago in 2002 – right after Folklife and around the time of the Breitenbush Summer Solstice Healing Retreat – SSHR – which I’ve been attending serially since 1995 (thank you, Shelley Glendenning). Yes, it’s true, I’m back on Maui! I’ve taken to highlighting sections on my calendar where there are open spaces – this time the invitation by my friend Jenny to return to Maui was offered and I decided to come back for another round. This trip has been very different from my time here in March – more reading/beach and less touring/social/business – oriented. 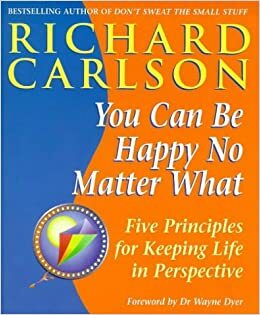 I needed to find this book on happiness, for instance. 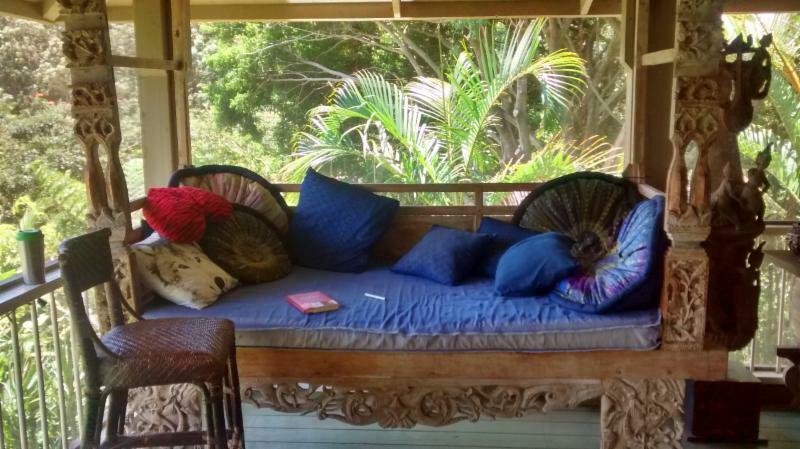 Speaking of Maui, Jenny’s place is for rent 6.1-26 – comes with a car – click here for more info. The birthday wishes on FB are sweet, but so impermanent. If you’d like to take a moment and leave a review either on Yelp! or my Albertideation Facebook page – I’ll be able to keep them forever! Thank you! I moved to Portland, Oregon in 2002 about this time of year. That makes it my 15th year anniversary. During that time I’ve been involved in so many projects and ideas. I was thinking it might be fun to take a gander at these in a free-style gonzo-journalism approach and see what I come up with. Here goes. Farm My Yard – my DIY project for bringing together urban farmers and people with yards they wish to farm. That got started 5 years ago – about the same time as The Birthday Garden – a community garden a bunch of us started 5 years ago at 3rd and Hancock, NE. Well, The Birthday Garden transitioned into home for a few tiny houses and many of us who were involved moved away from the area – so, that’s no longer a community garden. Farm My Yard? It’s got an email list of 450 people/a website/a FB and Twitter presence. I still get asked about it a lot – and it still remains a place where people come for information about how to connect with their neighbors – overall, I think it’s been a good thing, but I’ve never really pushed it forward in the way I had envisioned – by buying a bunch of signs and handing them out at farmers’ markets and helping it to happen big time in a neighborhood – and then repeating that if it worked. So, I feel a little frustrated about this one. Freecycle: I gave the Freecycle Network a push in 2003 after coming back from my 3rd Burning Man and starting Freecycle Portland (and then many Freecycle groups around the world). That seems to be going very well, these days, and I’m not involved at all. I did get a free t-shirt, but it was an XL and I’m not wearing those anymore, so I think I passed it along! Progressive politics. Well, that’s a big one. I still feel that I’m participating in bringing forth progressive policies and candidates. It’s hard to really feel that positive about this during the time of impending impeachment at the national level, but in the last many years we’ve managed to do a lot of great work at the state and local level – preventing fluoridation of Portland’s water; legalizing cannabis in Oregon; preventing LNG/Oil/Coal terminals in the area – pushing back against many of these, successfully. And there have been lots of losses, too – I’m sure I’m not the only one that wishes measure 97 had passed – this would have forced OR state corporations to pay more of their fair share of taxes – it was close but we lost. Then, there’s GMO-labeling – which also was close – but we were outspent by Monsanto and friends, heavily, and that effort seems stalled at the moment. Then there’s Bernie. Like many of my progressive friends, I really wanted Bernie to win the nomination. At least it would have been a good thing had he been put on the ticket as VP – I’m still not sure why Hillary and Co. didn’t think of/do that. Anyway, now we’ve got the hand that we were dealt on the national level and my main hope is that we will all focus on making sure people all over the country have the right and easy access to vote. If everyone could vote by mail like we do in Oregon, this country would get on a better track, quickly. I’m sure of it. Population issues. We’re at 7.5 billion people. More than double when I was born in 1961. We add 75 million people a year. In my reading of the situation everything related to climate change comes back to our human numbers increasing. I keep trying to add that commentary into every conversation I have with people about climate change. Here on Maui I just heard a great talk by a guy who studies climate science – and learned a new phrase – nuisance flooding. That nagging flooding that comes once in a while – it doesn’t wipe everything out, but it sure is a nuisance. There are a lot of great people working on climate change and I wish they would all start mentioning the elephant in the room – population growth. If we could bring our numbers down we’d have a chance (as would other species). If not, I don’t think all the windmills and solar panels in the world will do enough because we’ll keep needing more and more of everything. Feel free to join me – and learn about and donate to Population Connection in DC – doing the great work of lobbying Congress and informing people about this issue since it was called ZPG (Zero Population Growth) many years ago. Through PopConnect I’ve traveled to DC many times to lobby my congresspeople. Luckily, these days, the Oregon delegation is fantastic on the issues minus the Republican schmuck, Greg Walden, from Eastern Oregon. Organizing a group of tree enthusiasts who are trying to adjust the Portland tree code to save more tall old trees as they are threatened by development. This has led to an email list and FB group for organizing. Trying to encourage the fabulous social media site, Nextdoor.com to add a ride share category to their site – this would be such a huge and excellent addition to their site. On a side note – I’ve joined Nextdoor.com here in Maui and I’m trying to encourage local folks to use it. I imagine the impact in a spread out local community like Ha’aiku could be incredible. Supporting artists/musicians/friends – I have a bunch of friends who’ve been raising money to support their music and I’ve been mentoring some to use various tools and approaches that I’ve learned over the years. So, that’s a random sampling of some of the things I’ve been up to in the 15 years of living in Portland (heavily weighted to recent times). Plus throwing a few great parties at Hollywood Vintage; helping a bunch of trees get planted; etc. One of the reasons I’m listing all of this is that I’m going through a thought process right now trying to figure out my personal direction(s) for the future. I recognize that I’m a bit spread thin and this is leading me to have a huge network but perhaps not as much depth as I’d like. It’s kind of how my social life is built, too, and I want to change that. I’ve recently found myself deleting myself as an admin on various FB pages where I don’t have a major role (BRCPO, you may be next!) and I’ll probably continue down this path of tidying until I get to the point where when I pick something up I’m either feeling joy, or discarding! Being in Maui has been great for my mood. And now I’m feeling ready to be back on the mainland and I’m looking forward to a great Summer filled with connection; gardening; some awesome client work; and further refining what I’m doing with my time. I hope life/work/love is treating you perfectly. Are you feeling that “get back to work” feeling, now that Summer’s ending? I’ve been reading some fun articles* on strategies to make the transition easier. It’s still not making it any easier, and the last couple days of amazing weather definitely didn’t help my productivity any! That said, I have been focusing on learning about how to adjust to the constant changes that are affecting the business world. 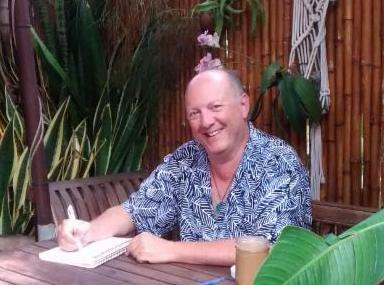 There is so much great business writing coming out these days – it’s a pleasure to wade through it all – and once in a while I add in my own thoughts . These are also ideas and strategies I’m happy to help you apply to your own marketing efforts. Get in touch and let’s see if what I know can help your bottom line. Get some tips on holiday marketing, here . The 5oth Anniversary of the Grateful Dead! Enjoy! Have a great time in Chicago, everyone! Here’s a full show from 1989. Set list and commentary from the Friday, July 3rd show. And, info on the half-time music which has been pretty cool. I got to catch the whole show last night, July 3rd, with friends. It reminded me how much fun this is to share with others. If you get a chance, watch it for the next night or two. I think you’ll be happy you did! I think one can listen to the audio of the shows for free, here. Ah what a fine time all of that was! I enjoyed the shows on a beautiful hill – overlooking Mt. Hood and Mt. St. Helens in Oregon. We feasted, and danced, and giggle and tried to figure out every song before it was played – as they toodled and noodled and teased us. I got a new appreciation of Trey Anastasio (from Phish) – as he finally let loose in games 3, 4 and 5. Well, thank you so much for that goodness, the Grateful Dead – still alive and kicking!